Discussion in 'Guitars in General' started by Help!I'maRock!, May 6, 2016. 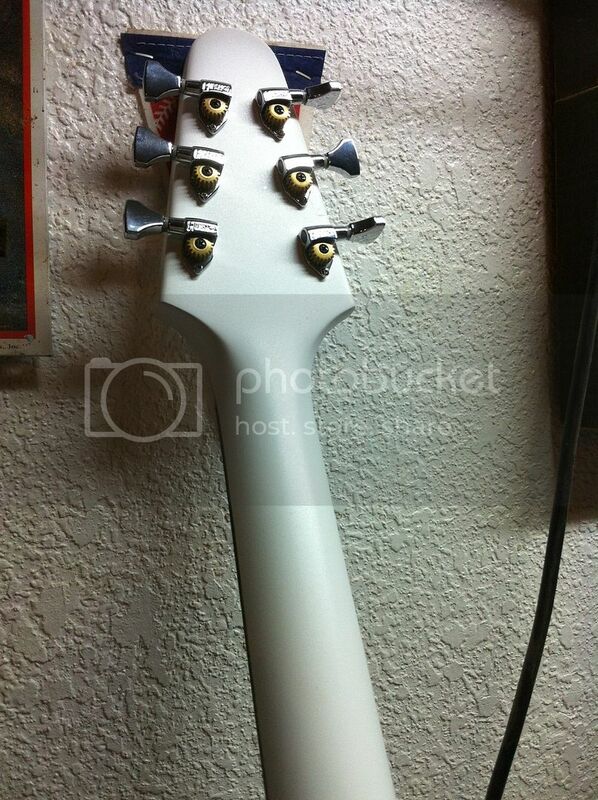 I'm replacing the tuners on my newly acquired 1980 Ibanez Artist. They're alright, but they seem like they've fought the good fight over the years. I've got it down to two. Hipshot Classic Open and Grover Rotomatics. Both sets are non-locking, have an 18:1 gear ratio, and cost $50. Which ones would you get? Why? The quality is comparable, I'd just get the hipshot ones cuz they look cooler. But personally, I'm a Sperzel guy. 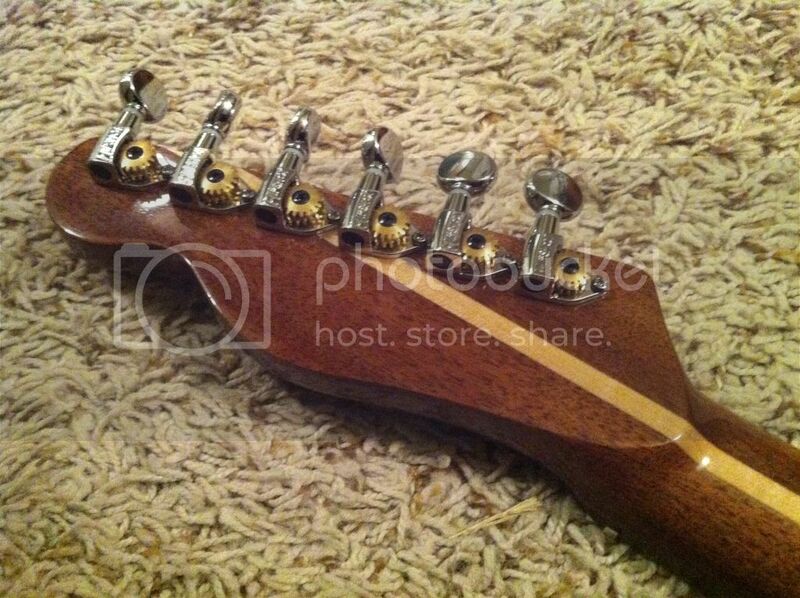 I've tried LOTS of tuners and the Sperzels are the ones that were the best for my needs. Mike Duncan and Stu Cats like this. Used both, Vastly prefer the hipshots. Kashmir Oceania and Guitarwiz007 like this. I'd just pick whichever looks better aesthetically as they're both fine machine heads. A friend has those Hipshots on a Tele build. They are luxurious. The Grovers are standard upgrade quality. 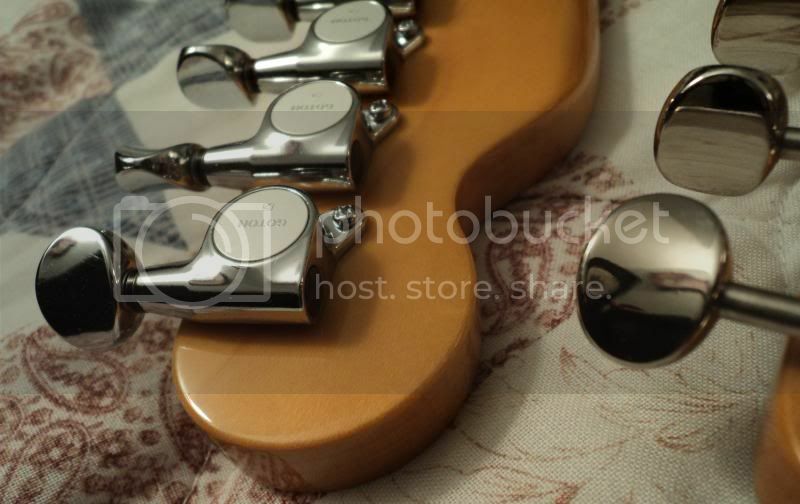 Great tuners, but nothing to write home about. 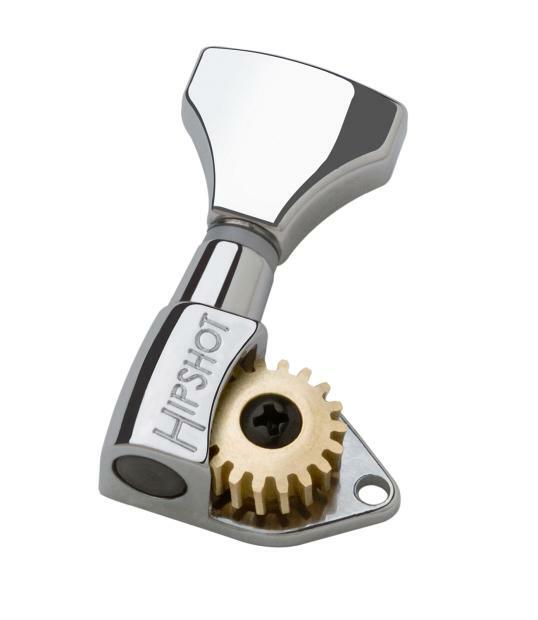 For some reason I've never liked the feel of Grovers (great tuners though) so I'd vote Hipshot. 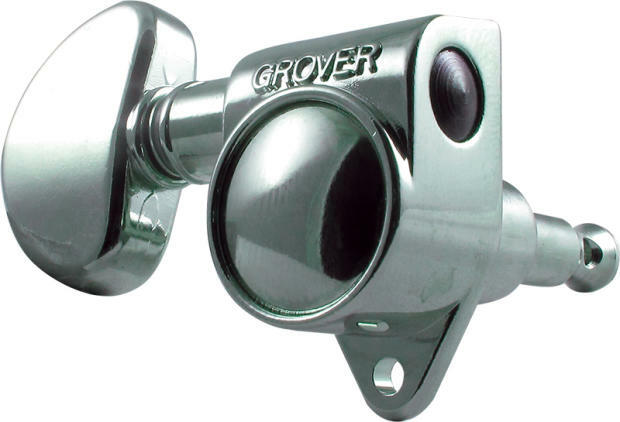 I like my 18:1 Grovers, they do what they're supposed to do. They're the only really good tuners I've ever had on a guitar, so I stick with what I know works. To this point, we've got 8 votes, equally split. The Grover people are ok with their Grovers. The Hipshot people like them better than Grovers and have more specific opinions. I'm leaning towards Hipshot. I put Hipshots with their universal mounting plate on a recently acquired Les Paul. Amazing. Super reliable too. I love the Hip Shot tuners! I have them on my Tyler Studio Elite, Suhr Standard, Suhr TS Classic, Gretsch Reverend Horton Heat 6120 and Fender Strat. I grew up with Grovers, I have hipshots on my "#1" right now. I can say they feel slightly different -- but so slight you'll forget after the first time you use them. Comes down to looks, weight and whether you think you'll get the open gears dirty. Once I got Hipshots I've never looked back! Are the Hipshots with the universal mounting plate lighter in weight or heavier than the Grovers? Grovers. I like the milk bottle style. They look vintage. I've never had a Grover tuner fail me. Hipshot. I have them on four guitars so far, mostly locking open-back models. 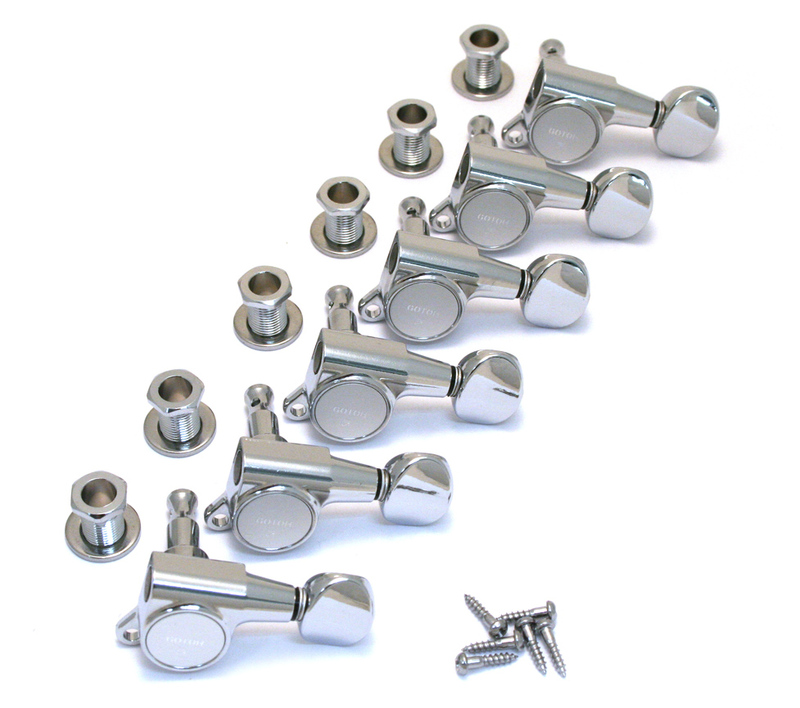 I haven't tried Grover 18:1 non-locking tuners, but have had several sets of the 14:1 original Rotomatics (102 series) in different guitars. I've swapped those out for Hipshots or 106 series locking Rotomatics. The original 102s have a bit of backlash and can be stiff. Maybe they've fixed that on the 102-18s. Same here. Half the weight, smoother and rock solid. scolfax and Adagietto like this. Having used several of both, Grover isn't a bad tuner but Hipshot feels better (smoother) and holds tune better every time. IMHO Hipshot every time when those are your choices.